JA South Africa has reached 11 059 students in 2018, which is 66% more than the 6 661 reached in 2017. This is an immense increase, in terms of the footprint of the organisation, at a time when entrepreneurship is becoming a focal point in our country. We continue to run the same type of programmes as implemented in the previous year, covering the pillars of entrepreneurship, financial literacy and work readiness, with an inclusion of shorter versions of some programmes and more volunteer involvement from corporate companies. 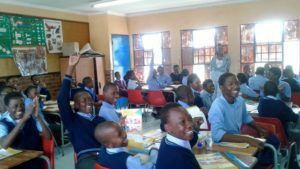 The major reach in 2018 has been on the financial literacy pillar amongst primary school learners through the More than Money Programme, which is implemented during school hours in most instances over a five-session interval. This is followed by the accredited 20-session programmes; namely, the in-school Entrepreneurship Academy and out-of-school Youth Enterprise Development programmes. 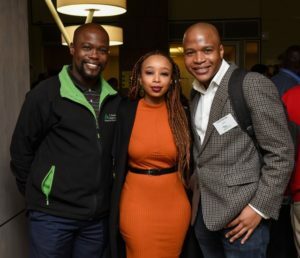 The Youth Enterprise Development Programme (YEDP) is JA South Africa’s flagship programme targeting out of school youth between the ages of 18 and 35 years. The programme is extremely practical and hands on, where participants start up and run their own real small businesses or enhance existing ones. They are required to conduct formal market research, prepare budgets and product/service costing, plan effectively for their businesses, manage the finances and market and sell their products/services. This programme is implemented over 20 contact sessions, followed by six months of mentoring. Across six provinces – Eastern Cape, Gauteng, KwaZulu-Natal, Limpopo, North West and Western Cape – 342 youth successfully completed these programmes. During the 20-week contact sessions, 93 start-up business were formed and these businesses were also put through a six-months mentoring programme, upon completion of the training. The mentoring programme is a platform for the graduates to access skills and guidance from volunteer experts to grow their business. 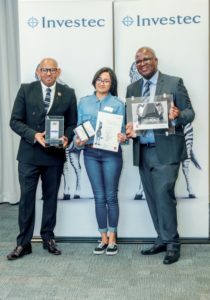 The YEDP is accredited by the Services SETA at NQF level four and 2018 saw the first rollout of the accredited programme, which gave an opportunity for learners to be assessed and acquire credits towards a New Venture Creation qualification. This is a great addition to the experiential business learning obtained as most of the learners do not have any post-matric qualification. 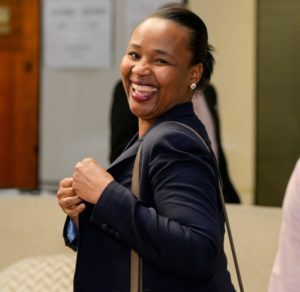 Through the sponsorship of Mastercard, which is committed to empowering women entrepreneurs; Transnet; and JET Education Services; the programmes reached marginalised youth. 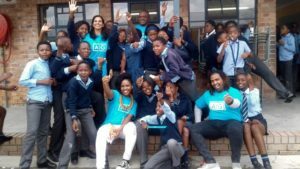 JA South Africa continues to partner with local organisations at community level in the rollout of these programmes, to empower the youth with entrepreneurial, work readiness and financial literacy skills. The Academy Entrepreneurship Programme is a seven to eight-month long intervention, with weekly sessions of three hours, incorporating entrepreneurship, financial literacy and workplace readiness training. 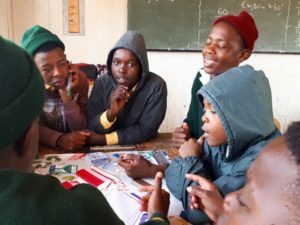 It aims to provide training on business and life skills to South African high school learners, from low to medium income households, equipping them with the necessary skills to establish their own businesses while still in school. Across South Africa, 650 students in Grades 10 and 11 from 20 high schools successfully completed the programme. 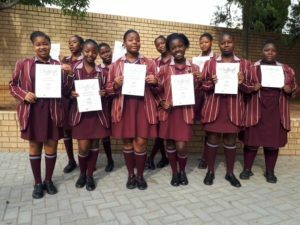 These learners created 40 mini companies, where they identified products or services to offer their target market, conducted market research, appointed managers, went through the financial process to ensure a competitive price for their products, and managed the cash flow. For a period of eight weeks they produced products or rendered services. These learners were also exposed to personal financial management learning and underwent a process of personal development, as well as having the opportunity to visit local businesses to learn about operational and sustainability strategies. The success of such lengthy programmes relies on the commitment of the students to learning and is only made possible through the support from the schools and their management, and the parents. 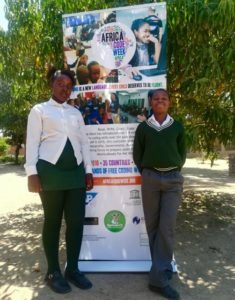 It is through sponsorships from Investec and Transnet that we were able to run these programmes in schools that are mostly disadvantaged and located in rural areas, as well as townships. In 2018, 16 Enterprise Programmes were rolled out. Of these, nine utilised the digital platform developed by JA South Africa and seven were text-based. 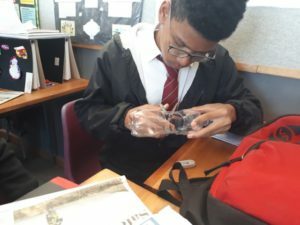 The Enterprise Programme is JA South Africa’s flagship high school entrepreneurship programme and affords students in grades 10 and 11 the opportunity to participate in an experiential business immersion over a period of 12 weeks. The Digital Enterprise Programme is an integration of the paper-based Enterprise Programme but delivered on a digital platform, where the students learn through interactive e-learning. In 2017, we ran one digital programme and this number increased to nine in 2018. The development of the digital programme offers a great opportunity for students to incorporate valuable technological skills with entrepreneurial learning. The 495 students that successfully completed the programmes were able to establish and run 38 mini companies. An average of 22 students join each company at the beginning and once they start running their businesses, their leadership, commitment, team work and sales skills are tested. By the time of completion, these self-managed groups have been reduced to between 10 and 15 learners per company. They receive continuous coaching and guidance from a trained facilitator while running their businesses, in order to make the enterprises profitable and incorporate learnings, on a weekly basis. Successful Grade 9 BE Entrepreneurial programme participants numbered 299 students from seven schools. 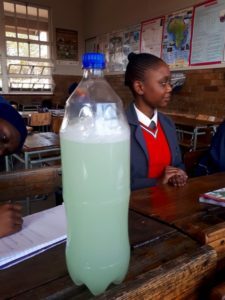 This programme, which introduces learners to the concept of putting together a business plan and preparing for a market day, supplements the academic curriculum requirements at this level. The programme also serves as a foundation for students to join the more intensive and experiential Enterprise Programme targeted at grades 10 and 11. After writing their business plans, the learners get to present them and receive feedback on the improvements they need to implement to make their businesses successful. The Success Skills Programme introduces students to the world of work and the necessary soft skills required to be employable. 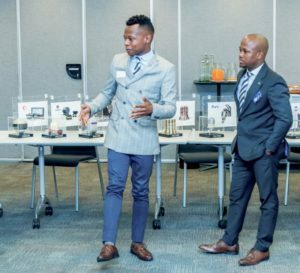 One element entails a Job Shadow experience, where students spend a day immersed in a company’s work environment combined with mentoring from employees – the host company is usually the funder of the programme. While unemployment continues to be a big challenge in our country, employers are also battling to find skilled labour and work-ready employees. Exposing the youth to the world of work helps to close this gap. JA South Africa was able to provide 99 students in Grades 10 and 11 with work readiness skills training and facilitate contact sessions with professionals who advised the learners about the pathways they need to follow to pursue the careers they are aspiring to. The learners also gained an understanding of what the world of work is like, through the in-class sessions and the job shadow for a day. This programme provides companies the opportunity to give back to the community by inspiring students to realise the importance the role that their education plays, in terms of their future career aspirations. The More Than Money Programme is JA South Africa’s flagship financial literacy programme at primary school level. The introduction of the shorter version of the programme in the form of JA More than Money in a Day has allowed us to introduce new partners to the programme, including the Gauteng Department of Education, the Banking Association of South Africa and corporate sponsor AIG. This programme introduces the students to the concepts of money, income, savings, spending and investing. 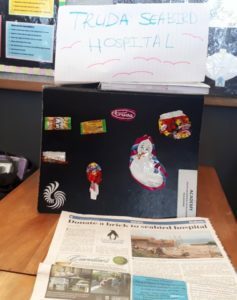 Students also learn strategies that they can use, such as engaging in entrepreneurial activities or chores, to earn an income while at school. 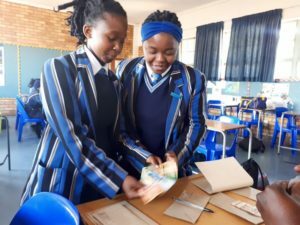 A combined total of 7 048 students have been reached with the modular More than Money and the More than Money in a Day programmes , which aim to teach Grade 7 students financial literacy. 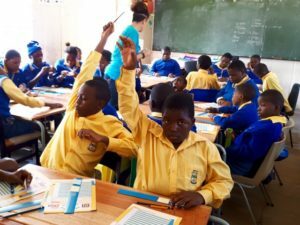 The More than Money in a Day Programme is a dynamic platform for corporate volunteers to get involved in teaching financial literacy to students, as it is implemented in one day. This one-day intervention is also themed around calendar events like the Global Money Week and Savings Month in July. This year the five-session modular More than Money Programme also introduced students to a savings challenge. The students were challenged to set a savings target and given a period to save towards a goal they had set, which provided an opportunity for the students to apply the principles of savings they had learned. Long-term partner HSBC continues to sponsor the More than Money financial literacy programme, with involvement from their staff members. 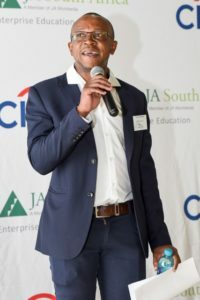 JASA has been running financial literacy programmes at Chartwell Leadership School, which has set a high academic standard while shaping an entrepreneurial culture. 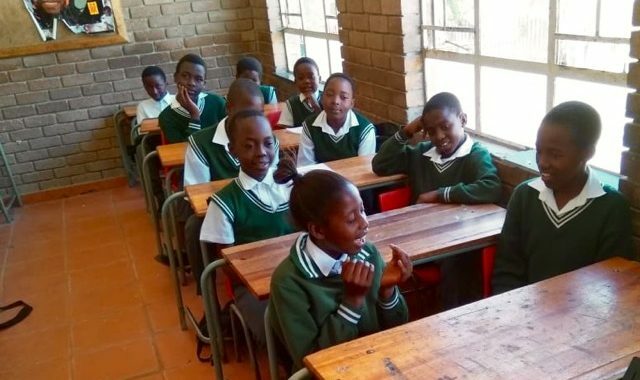 Not only is entrepreneurship embedded into the formal school curriculum but children are encouraged to start-up businesses and save their profits. 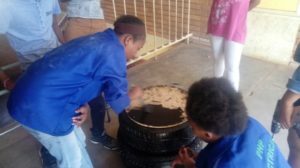 By age five, learners at the school already understand the four means of production and some are even testing their first business ideas. 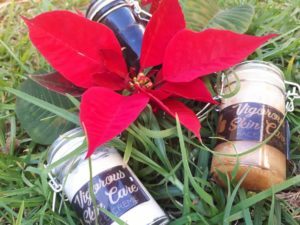 One of Chartwell’s young entrepreneurs is 11-year-old Latoya. After learning to knit at school, she passed on this skill to five fellow learners and together they knitted scarves to sell. The R300 they made has enabled them to grow the business. 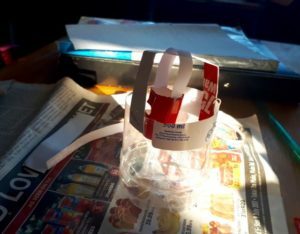 Another 11-year-old, David, has diversified from knitting, which earned him R800, to selling Tupperware to family members. 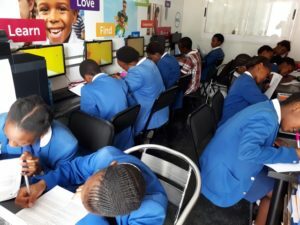 In partnership with the Standard Bank Tutuwa Foundation, we successfully rolled out the first cohort of learners on the Opportunities Out There Programme, focusing on STEAM2D (Science, Technology, Engineering, Arts, Mathematics, Manufacturing and Design), which also included training in coding. 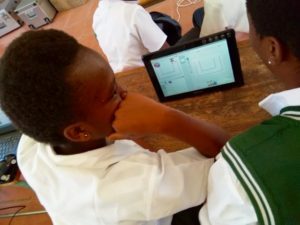 This six-year programme aims to provide the same cohort of learners, as they pass from Grade 7 through to Grade 12, with a sequence of interventions that expose them to the world of STEAM2D, while equipping them with skills related to entrepreneurship, work readiness and financial literacy, as well as coding up to robotics. 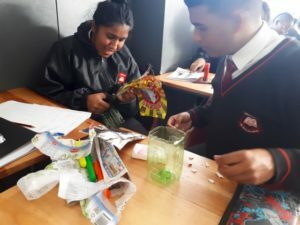 The pilot phase started with learners in Grade 7, who were introduced to the Opportunities Out There Programme, focusing on STEAM2D and Coding. 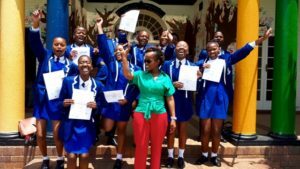 This pilot was implemented in three provinces – Gauteng, the Free State and Mpumalanga and is reaching 495 students across seven schools. This programme explores the world of work, focusing on employment realities and the potential for self-employment in STEAM2D industries. Thus, as they move through high school, this cohort will be guided to make wise career choices and build the motivation and discipline to successfully follow their chosen pathways. JA South Africa has partnered with Siyafunda CTC to offer training in the coding programme, Scratch. Siyafunda runs Scratch coding programmes with schools and other partners within the space of technology. 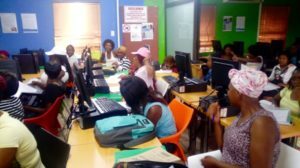 This cohort of learners were taught Scratch and the basics of coding by Siyafunda facilitators, who travelled to the schools to teach the two-day workshops. Posted in Annual Report 2018.